If you, or anyone you know, are in need of information which unquestionably will help you make an informed decision regarding your options, then you definitely want to contact Kathleen Daniels. The fact that you are here is evidence that you need help. Isn’t that right? Don’t wait until it is too late … discover your options now. Contact Kathleen today! You may contact Kathleen by filling out the form on right side of this page OR simply pick up your phone now … and call. It’s that easy. 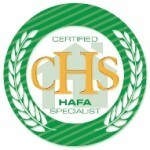 The numbers listed below ring directly to Kathleen Daniels, Certified Short Sale Specialist. If Kathleen is unable to answer your call … leave a message. Kathleen will get back to you as soon as possible.